Fine, smooth, soft, short, and glossy. 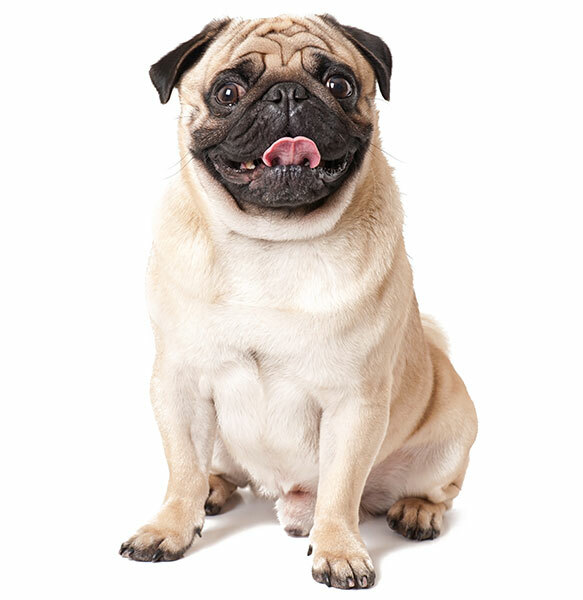 Pugs have a very amusing, distinctive look, with their adorable face wrinkles, bulging eyes, curly tail and pushed-back noses. 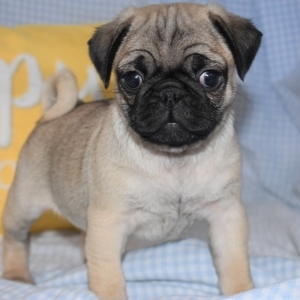 Originally bred as companion dogs, Pugs have flourished as a breed for thousands of years. 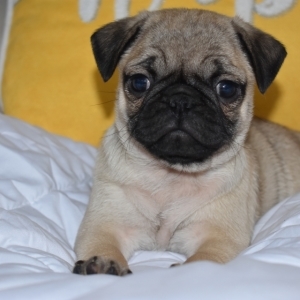 Throughout the centuries, Pugs have certainly retained their charming personalities and cheerful dispositions, and make perfect family dogs. They are always eager to be near their families and to please them in any way they can. 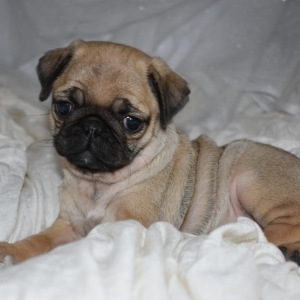 These small-sized dogs are only somewhat active and therefore do well in living spaces small and large. A group of pugs is called a grumble. 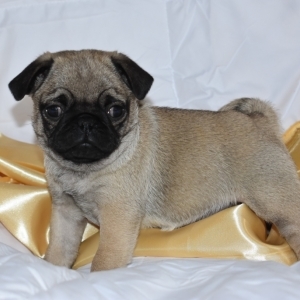 The Pug originated in China and dates back all the way to 200 B.C.